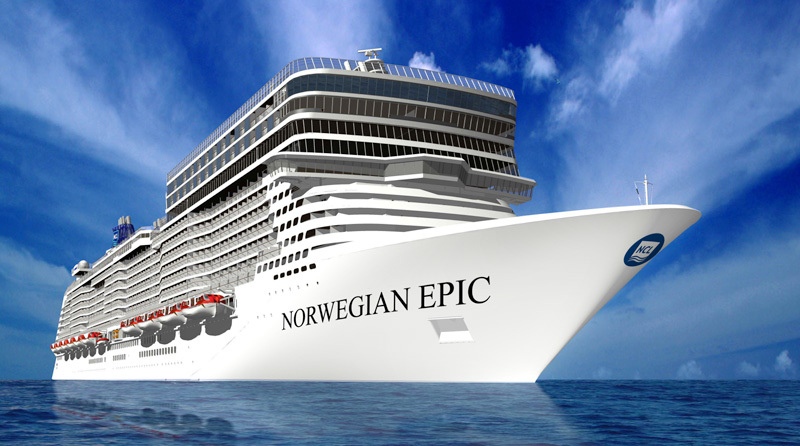 Norwegian Cruise Line today announced that they will be using a new ticketing system for entertainment onboard their latest ship, the Norwegian Epic. Passengers will be able to make reservations for entertainment online, prior to their cruise. With some fantastic entertainment onboard, such as the Blue Man Group, Cirque du soleil, and Nickelodeon at Sea, allowing guests to pre-book their tickets for such events is likely to go down very well indeed. Once guests have booked their cruise and received confirmation of their holiday details, they will be able to visit the Norwegian Cruise Line website and log in to their account. In their account, there will be a dedicated section for entertainment where they will be able to reserve their desired performance. Although pre-booking will not be offered for all entertainment, the headline shows will all be available for online booking, although passengers will only be able to make one reservation for each show, per sailing. Online bookings will be allowed from 45 days prior to the cruise ship setting off. All guests’ reservations will be held for them until 10 minutes prior to the show starting, however at this time, if guests have not turned up for the show, their tickets will be released to non-booking guests on a first come first serve basis. If passengers want to cancel any booking, they must do so at least 24 hours before the performance of they will not receive a full refund. If guests fail to give 24 hours notice of their cancellation, they will be charged the full price of the tickets. The new booking system is sure to bring peace of mind to many guests travelling on the cruise ship, as it is often uncertain as to whether you will get the chance to see a certain show, or whether it will be sold out. This way, those who are well organised will be guaranteed to see the shows that they want to see.